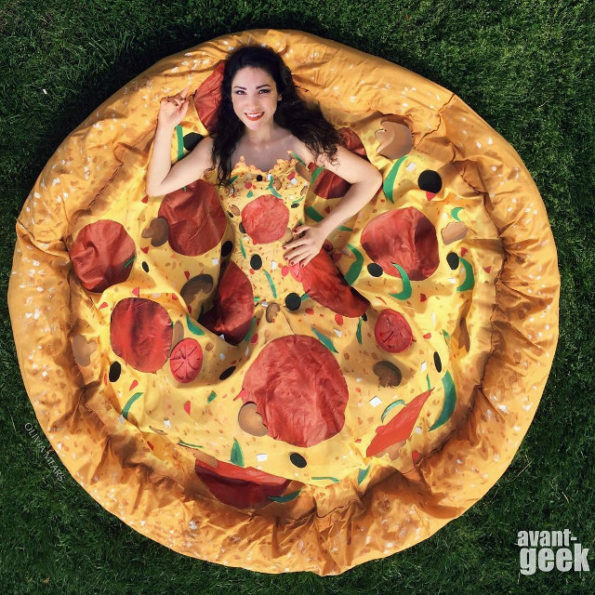 Meet the amazing Pizza Dress by Olivia Mears AKA Avant-Geek. What a delight! See a photo of Olivia and the dress on a throne made of Domino’s pizza boxes and be sure to check out the Instagram video where Olivia demonstrates the dress’s twirl-ability.